A family of biodegradable polymers called polyketals and their derivatives may improve treatment for such inflammatory illnesses as acute lung injury, acute liver failure and inflammatory bowel disease by delivering drugs, proteins and snips of ribonucleic acid to disease locations in the body. 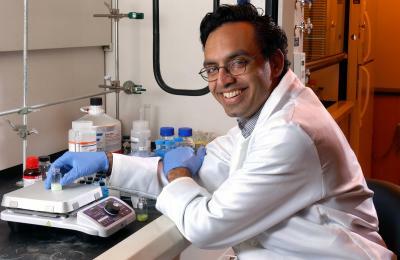 "The polyketal microparticles we developed are simply a vehicle to get the drugs inside the body to the diseased area as quickly as possible," said Niren Murthy, assistant professor in the Coulter Department of Biomedical Engineering at Georgia Tech and Emory University. "The major advantage to using these polyketals to deliver drugs is that they degrade into biocompatible compounds that don't accumulate in a patient's tissue or cause additional inflammation." The researchers are currently collaborating with Didier Merlin, a professor in the Division of Digestive Diseases at Emory University, to investigate loading these polyketals with therapeutics to treat inflammatory bowel disease. 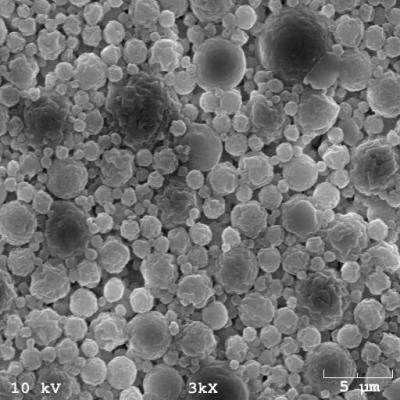 "We think these microparticles are going to be fantastic for oral drug delivery because they can survive the stomach conditions before they release their contents in the intestines," noted Murthy. Murthy's group is also examining the use of polyketals to treat acute liver failure – a condition when the liver stops functioning because macrophages in the liver create reactive oxygen species. One treatment is the delivery of superoxide dismutase, an enzyme that detoxifies superoxide. Incorporating the enzyme inside a polyketal – poly(cyclohexane-1,4-diyl acetone dimethylene ketal) – allows the enzyme to be released very quickly in an acidic environment. "Patients with acute liver failure need drugs as soon as possible or else they'll die," said Murthy. "We've tailored the polyketal's hydrolysis rates to deliver the drug in one or two days." Nick Crisp, professor of microbiology and immunology at the University of Rochester Medical Center, and Robert Pierce, currently head of anatomic pathology at Schering-Plough Biopharma Schering-Plough Biopharma and formerly of the University of Rochester Medical Center, are collaborating on this project. Georgia Tech, Emory and the University of Rochester have filed three patent applications on the polyketal drug delivery system. To treat other illnesses, it may be necessary to deliver proteins to a diseased organ. In a presentation on August 18, Georgia Tech researchers described such a method, which was developed by Murthy, Michael Davis, an assistant professor in the Coulter Department of Biomedical Engineering, and graduate student Jay Sy. "Delivering proteins inside microparticles has been limited because getting the protein into the microparticles required organic solvents that frequently destroyed the proteins," explained Murthy. "To overcome this problem, we developed a method of simply immobilizing the protein on the surface of the microparticles." Also in collaboration with Davis, the researchers are testing the ability of the protein-bound polyketals to treat heart attacks. In the next few years, Murthy and his team of graduate students and collaborators plan to continue developing new polyketals and conducting efficacy tests in cell cultures and animal studies. "In the past few years, we have developed methods to tailor the polyketal's properties, which have already allowed us to target many different medical conditions, but our end goal is to test these treatments in humans," noted Murthy.